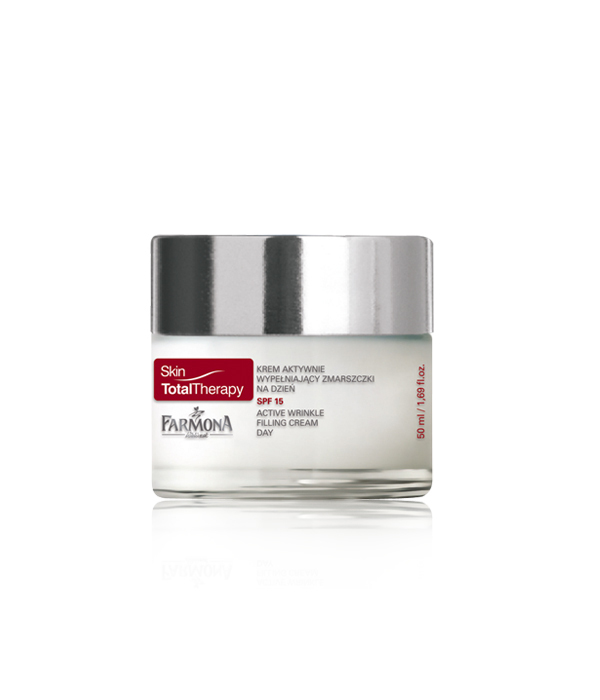 The unique formula of the cream hides the secret of youth and beauty. It effectively inhibits the process leading to slackening of the skin and the formation of wrinkles and reduces the existing symptoms of skin aging, bringing back its young and attractive look. The active, new generation component – GP4G provides energy to the cells, activates the metabolic process, which has been weakened with age and protects the DNA from damage. Copper with glycoprotein and lipopeptide 4D fill and strengthen wrinkles and efficiently reduce their number, length and depth. Soy isoflavones closed in the nanocarrier inhibit hormonal skin aging, excellently smoothe and improve the thickness and structure of the skin, preventing its slackening. Hyaluronic acid guarantees deep and long-term moisturizing, protecting the skin from drying and the formation of wrinkles and lines. The complex of C and E vitamins rejuvenates the skin, adds vitality and improves the firmness, resilience and the colour of the skin. Additionally, UV filters effectively add protection from harmful UVA and UVB radiation, delaying the aging process. 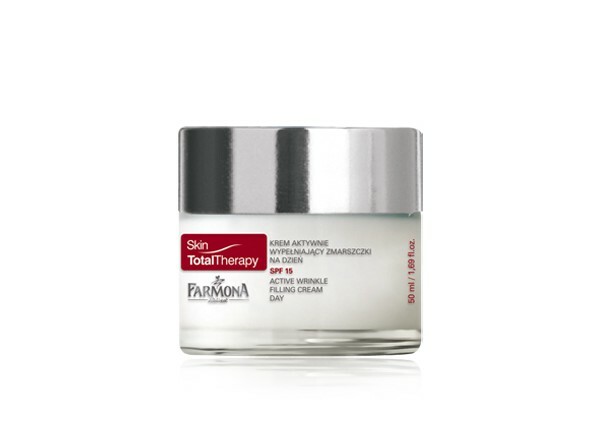 Regular application of the cream results in a quick and noticeable reduction of wrinkles, making them shallower and also improves the firmness and elasticity of the skin. Day by day, facial features become more delicate and the skin gains a beauty, youthful colour and brightness. – improved and even skin tone 81%. Apply the cream to the face and gently massage into the skin by circular movements, not stretching the skin. Use in the morning. Soy isoflavones, GP4G, lipopeptide 4D, Copper with glycoprotein, hyaluronic acid, vitamin C & E complex, UV filters. Aqua (Water), C12-15 Alkyl Benzoate, Ethylhexyl Methoxycinnamate, Polysorbate 60, Cetearyl Alcohol, Glycerin, Propylene Glycol, Ethylhexyl Stearate, Butyl Methoxydibenzoylmethane, Octocrylene, Glycine Soja (Soybean) Oil, Glycine Soja (Soybean) Oil Unsaponifiables, Propylene Glycol Dicaprylate/Dicaprate, Glyceryl Stearate, Cyclopentasiloxane, Cyclohexasiloxane, Hydrolyzed Wheat Protein, PVP, Artemia Extract, Palmitoyl Tripeptide-5, Sodium Hyaluronate, Cetyl Alcohol, Cera Alba (Beeswax), Tocopheryl Acetate, Sodium Ascorbyl Phosphate, Saccharomyces/Copper Ferment, Saccharomyces/Magnesium Ferment, Saccharomyces/Silicon Ferment, Saccharomyces/Zinc Ferment, Saccharomyces/Iron Ferment, Disodium EDTA, Acrylates/C10-30 Alkyl Acrylate Crosspolymer, Sodium Hydroxide, Phenoxyethanol, Methylparaben, Ethylparaben, 2-Bromo-2-Nitropropane-1,3-Diol, Parfum (Fragrance), Amyl Cinnamal, Benzyl Salicylate, Citronellol, Geraniol, Butylphenyl Methylpropional, Linalool, Hydroxyisohexyl 3-Cyclohexene Carboxyaldehyde, BHA.